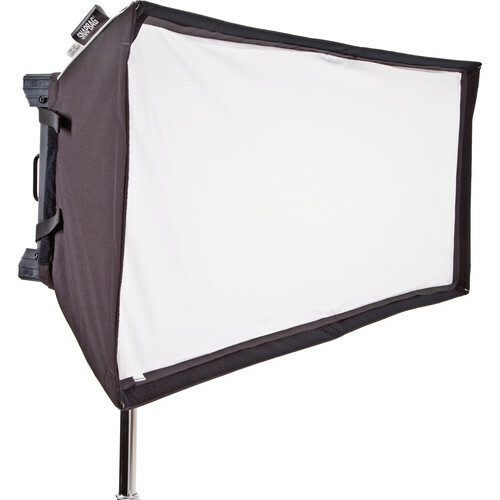 Slipping quickly and easily over the front of the fixture, the SnapBag Softbox for Celeb 450 LED DMX Panel from Kino Flo is a light modifier that softens the output and widens the beam angle of the 45 x 14" fixture. An optional SnapGrid is available to tighten the beam angle while maintaining a soft quality of light. The SnapBag's interior is reflective silver to maximize output while the front diffuser is removable for contrast options. Box Dimensions (LxWxH) 32.0 x 6.1 x 2.6"